Note: If you don’t have cream you can add 1/2 cup extra milk. 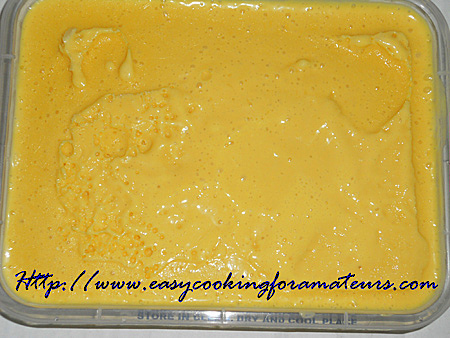 In a blender blend mango & sugar to smooth puree. Add other ingredients & blend just to mix well. Note: If the blender is small. 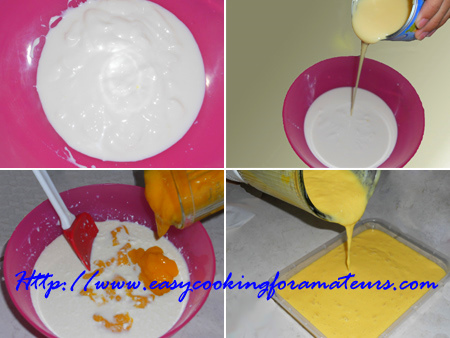 Mix all the ingredients in a mixing bowl with pureed mango, divide the mixture into 2 batches & blend. Pour it to a shallow container & cover. Note: it should have started to freeze at the edges & bottom but not fully through to the centre. Take out from the freezer. Pour both batches to the same container & cover. Freeze again till it is half frozen. Repeat the blending process again. Finally freeze till it is firm. 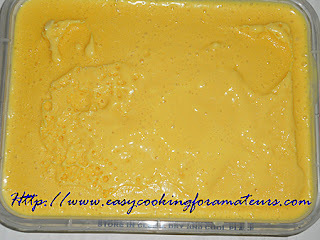 Mango ice cream is ready. Scoop it to a serving bowl & serve. Note: If the ice cream is frozen for more than 1 day, before serving keep it in room temperature for 5-10 minutes. Mango icecream looks delicious.My favourite. I love mango and this looks tempting. First time here and following you. Please visit me as time permits. Yum Yum.. Just perfect for todays heat here.. Great and easy preparation..
What a delightfully wonderful recipe...gorgeous! This ones pretty easy to make & looks luscious & delectable!! Yummy icecream .. perfect for the season. Delicious ice cream. already drooling over it. Wow!! 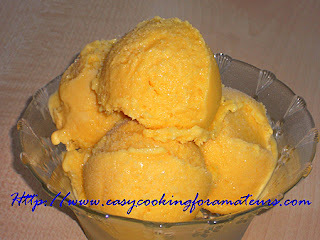 One of my fav ice creams..
Mango ice cream looks so delicious and yummy. WOWEEEEE, ain't that the best dessert on this horribly hot day :) YUM! My favorite frozen treat and that too with juicy mangoes! Yum-yum!! Just love the natural coloring... Perfect Refreshing dessert for a hot hot day! Thanks for sharing!